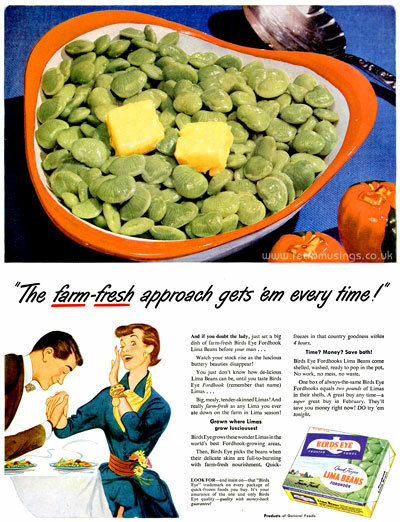 These ads for various Birds Eye frozen food products date from 1946-49. Each ad featured a different recipe and technicolour photo, plus little illustrations at the bottom. 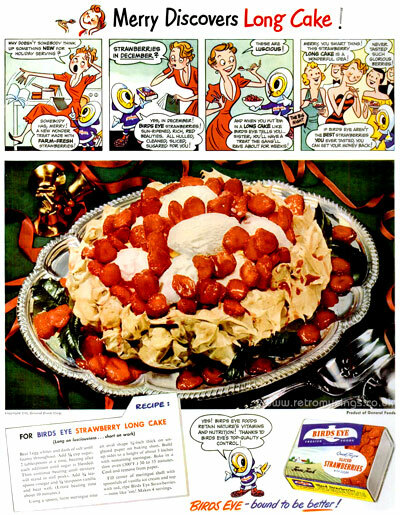 These ads for various Birds Eye frozen food products date from 1949-50. Mid to late 1949 saw the introduction of a little chick character in cold weather clothing who was included a comic strip at the top of each ad.